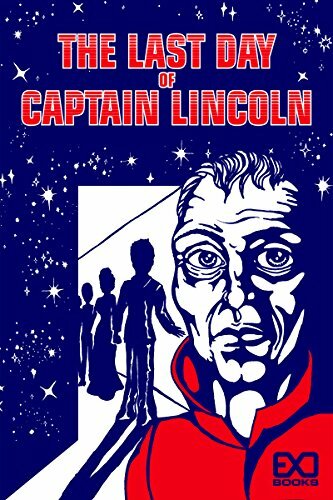 The Last Day of Captain Lincoln is meant to be a slow paced story. How can it be fast, after all, when the main character is preparing to say goodbye to the life he’d led? It’s a very different take on a science fiction novella. I was actually surprised how I enjoyed it. But like I said, it’s different. These days, we don’t see enough originality. I read it through in one night. Throughout the novella, we’re given poems and letters by famous people such as Van Gogh or Irving Berlin. I found it to be quite interesting how the author weaved in certain quotes to fit Lincoln’s last day. Not only do we get to read a well-written story, we’re given artwork that’s pretty good. The drawings remind me of the Tell Tale video games such as The Walking Dead. It proved to be amusing for the most part. The Last Day of Captain Lincoln is thought-provoking, with an unexpected ending. Reading this novella was a nice change of pace for me from all the dark murders that I’m usually drawn to. If you enjoy science fiction or utopian society stories, then I suggest you try this book. EXO Books is the pen name and publishing company of a NYC based science fiction writer. An exodus is the departure of a people out of slavery, to a promised land. It is a journey punctuated with peaks and valleys of joys and sorrows, through darkness ever towards the light. Behind this journey is the idea that while we continue to search for a better life, the search may not be fruitful in our lifetimes. Through it all, we are sustained by hope, and love. The road is long, my friends. We trek on together.